IKEA has always been the go-to giant retailer for great modern, budget furniture and tasty cafeteria food. Apparently IKEA might start selling these disposable-like digital cameras made out of recyclable cardboard you won't have to put together yourself. 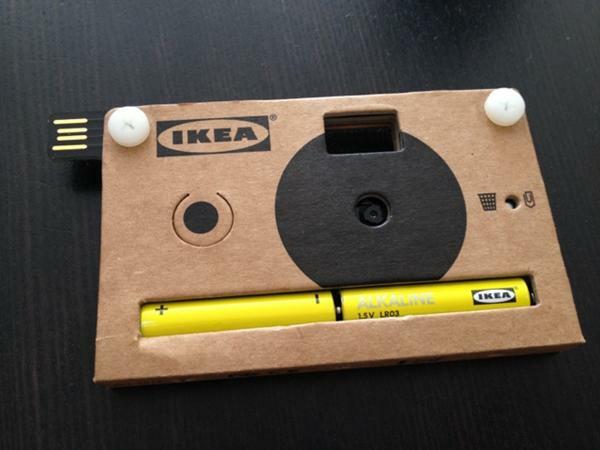 IKEA's budget point-and-shoot runs on two user replaceable AA batteries and can store up to 40 photos on its on-board USB flash drive which flips out of the side when time comes to upload those Swedish meatball pics you took straight to your computer. By the extremely cheap looks of it, we're thinking IKEA's reusable cardboard digital camera will retail for no more than $10.